Seriously, Who Doesn't Love This Feminine Summer Shoe Trend? What's on your summer agenda? If it involves a vacation or destination wedding—or leaving the house at all, for that matter—we know which pretty shoe trend you'll want to try. Net-a-Porter just launched its newest curated vacation shop, aptly dubbed Jet-a-Porter, and the selection is impressive, to say the least. 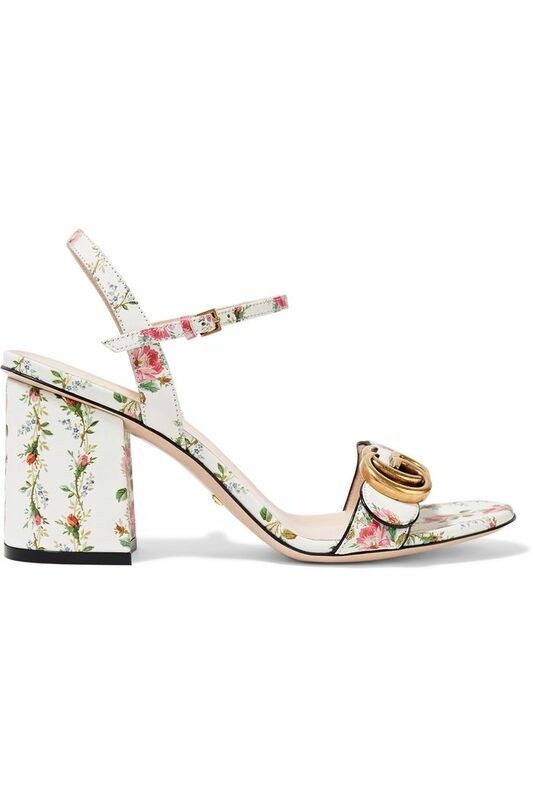 One trend, in particular, stood out to us: Net-a-Porter's slew of printed sandals. From gorgeous Gucci floral versions to flirty polka-dot iterations, we can't get enough of the trend right now. The vacation edit also includes exclusive capsule collections from the likes of Chloé, Ellery, Zimmermann, and more. In other words, it's pretty much the definition of a one-stop shop. Read on to shop our favorite printed sandals from Net-a-Porter's vacation shop. We've never met Gucci shoes we didn't like. How cute are these polka-dot slides? We've never seen kitten heels look this cool before. Pair these with your favorite white dress. We can't get enough of gingham right now. Next up, find out how to pack everything you need for a vacation in one carry-on.